Are you looking for the opportunity to work ahead by taking a credit course in advance of your next year? Are you seeking a prerequisite or a deeper understanding of the subject matter? Taking integrated private or private courses at Waterloo allows students to maintain their home school while benefitting from our small class sizes and personalized approach. This gives students the opportunity to excel in core subjects, while reaching forward for academic success. Blyth Academy’s Integrated Private Courses give students the ability to earn high school credits online while receiving 45 hours of one-on-one instruction, with a private teacher, at any of our 15 Ontario campuses. Part of the course is completed through the Blyth Academy Online state-of-the-art digital platform, which offers more than 100 online high school courses. Combined with regular private classes with an experienced teacher at Blyth Academy, students looking for flexibility in their academics can gain a deeper understanding of course material, experience improved test preparation and grades, as well as develop more effective student-teacher relationships. 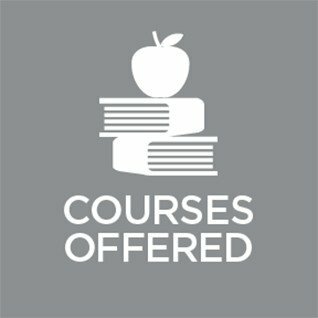 List of Integrated private courses. Blyth Academy Waterloo provides individual instruction in a wide variety of courses and grade levels. Virtually any Grade 9–12 course can be delivered at times and campus locations that are convenient for the student. In addition, prep courses for SAT’s are also available. Our teachers are fully up-to-date with the latest Ministry of Education curricula and evaluation policies, and are equipped to deal with most learning accommodations. Over 100 courses are available for private or semi-private tuition. Additional Hours: If students require additional hours beyond a Full Course or Repeat Course in a Private Setting for any reason, additional hours will be charged at a rate of $50/hour. The number of additional hours required will be determined in consultation between the Campus and the family and must be paid in full, prior to commencement. Cancellation of Classes & Absences: If a student is unable to attend a prearranged private class, or requires a change in their class time, he/she must advise the teacher via email a minimum of 24-hours in advance. In the absence of such notice, any time invested by the teacher will be deducted from remaining course time and will necessitate an additional fee to enable completion of the credit. Such calculations will be based on a $50 per hour teaching fee. The Campus will dictate the number of outstanding hours required and the student and family will be notified of any such additional fee required a minimum of 2 weeks prior to course completion.